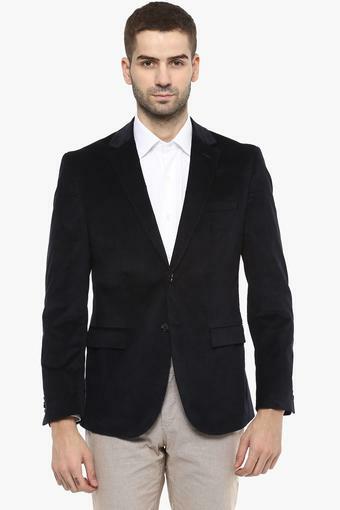 Enrich your wardrobe collection with a touch of sophistication by opting for this blazer from Van Heusen. 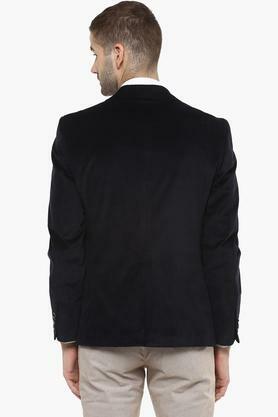 It features a notched lapel and a chest pocket, which uplifts its style quotient. Tailored with finesse, the premium quality of the fabric gives it a smooth finish. Besides, the solid pattern lends it a classy vibe. 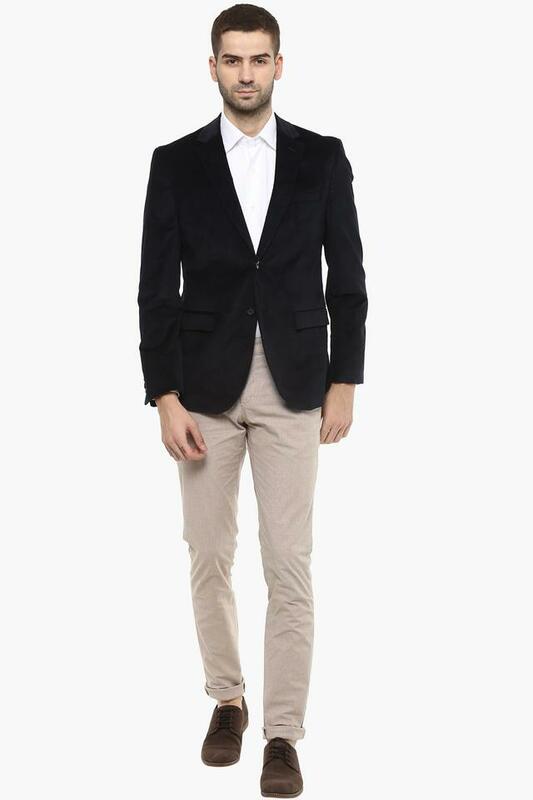 Be the bastion of classy style by wearing this blazer with a pair of derby shoes for any formal occasion. It comes in a solid pattern, which renders it classy.